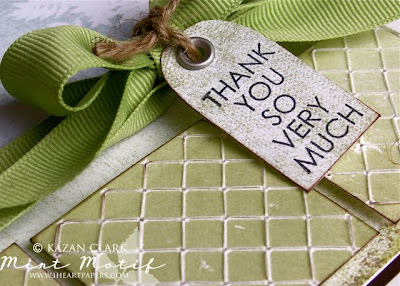 Kazan Clark: Exciting news: Mint Motif sneak peek is here! Exciting news: Mint Motif sneak peek is here! The day has finally arrived for me to share my uber exciting news. 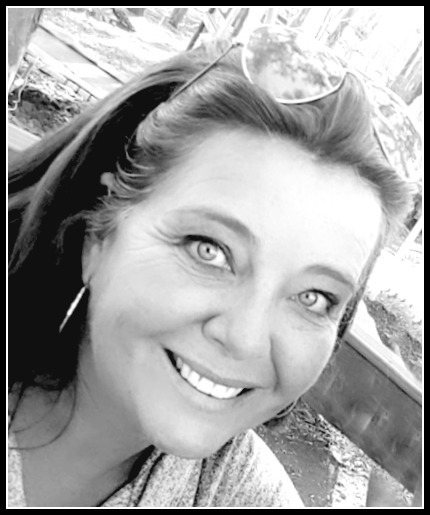 Kimberly Crawford, a brilliant cardmaker has launched her very own stamp range under the label Mint Motif and I am on the MINT MOTIF Design Team!!!! It is thrilling to be part of a brand new venture and to work with products that are absolutely divine :) Today the Mint Motif Design Team is giving you all a sneak peak of the very first stamps from the collection! On my card I used a square stamp from the set called Very Square (I sent Kimberly an email telling her I am officially in love with this stamp - the diamond shapes coupled with a quilted look makes this a winner in my ever growing stamp collection - to give the diamond shapes a bit of dimension I hand stitched along the stamped lines with thin thread). The sentiment is from the set Very Square Sentiments - great for so many occasions :) The paper, The Frond Collection Pad , is from Memory Box and can be purchased from iheartpapers.com and don't you love that gorgeous neat little bow - well I made it with my brand spanking new Bow-Easy (yay I finally have my own Bow-Easy) also available for purchase from iheartpapers.com. starting on Friday May 14th which is also the day of the official launch of these beautiful stamps. Interested in winning some of your very own Mint Motif stamps? 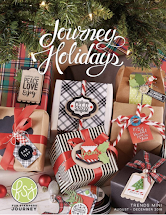 Simply leave me a comment here and Kimberly Crawford will randomly select a winner from all participating blogs to win both sets! Congratulations on the DT spot, girlie. Very well deserved. I love your style and work. Have fun! Amazing! I love the colors and seeing this new set used with a tag for the sentiment. Patience in all the subtle details make it exquisite! Wow the stitching over the pattern looks amazing!! What a beautiful card! Ack that stitching is awesome! Love your beautiful color scheme, so elegant! Congrats on your new DT gig! That quilty stamp is perfect but you sent it up a notch (or a few) with that stitching!!! Wow. Your card is amazing! Love all the texture. Congrats on the DT! Kazan! 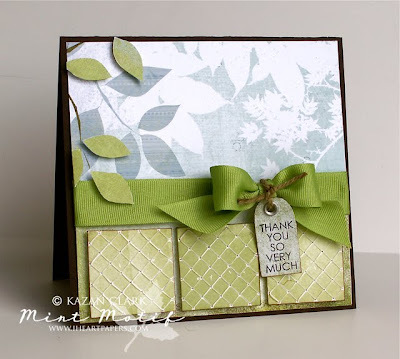 What a beautiful card and your stitching is amazing! Congrats on the DT! Absolutely love how you stitched the design, great effect!! And I noticed that perfect bow before you mentioned it in the post! I am going to check that out! This is so elegant and such a different take from the other creations. Absolutely beautiful! Wow, the stitching adds so much unexpected texture to the card. And I love how you put the sentiment on the tag -- perfect! wow....its so beautiful..the texture, dimesion...PERFECT!! Congrats Kazan!! This is gorgeous! The stitching is brilliant! Your card is gorgeous! I think the quilted stamp from this set will be my favorite as well! So beautiful! I love the stitching over the pattern, it adds so much texture. Kazan, your card is SO breathtaking!! Brilliant idea with the stitching!!! Don't tell the other stamps, but that one is my favorite too!! Thank you for making such a detailed and elegant card!!! Congrats on the DT spot. I am so exited for Kim! Beautiful card and I love the stitching. This is a beautiful card! Absolutely gorgeous card! I love how it has a 'distressed' feel to it. Fantastic! Love the colors! Congrats on making the DT! This is stunning! I love the richness! Congrats on the new DT! Beautiful card. Love your stitching to really make those lines pop on the card!!! Way to go on the DT! I love the muted colors on this card and the use of negative space. Great job! Your card is absolutely beautiful. I love the different textures! OMWord Kazan! I am in awe~~~the stitching on the stamp is way brilliant. The details of the card are incredible....and don't even get me started on the bow. Bow Easy?? I think one of those needs to come live with me! What a clever idea - love the look! I think that is my favourite background stamp from the set. Very exciting! 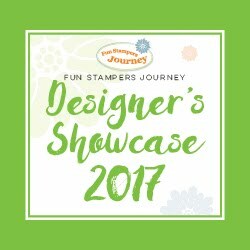 Can't wait to see all the new stamps and your creations! This is a beautiful card! Congratulations!! I wondered how you got that look. Thin thread eh, really is evvective. congrats on the DT!!! Gorgeous work! This is a super cute card--LOVE that bow! Love it all! Congrats on your DT position! that is such a beautiful card! 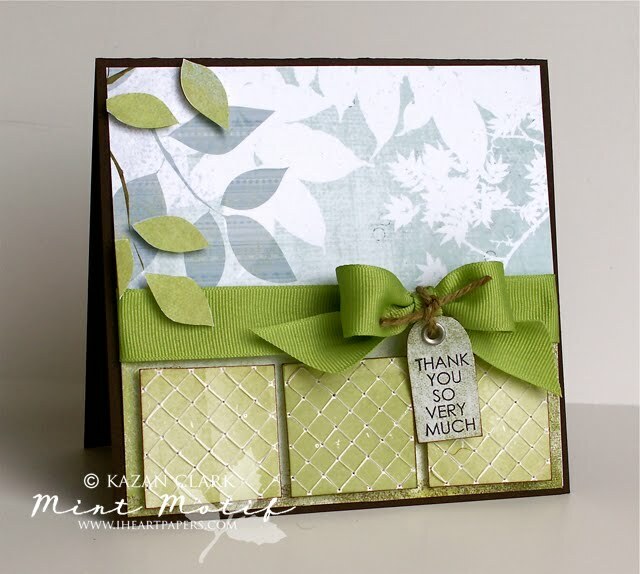 it is gorgeous!love the stamped sentiment!thanks for sharing!congrats on the dt position! what a beautiful card! so pretty!!! What a beautiful, yummy card. It's so green and soft. Love it. OH, this is adorable!!! i adore your card!! these sets are fab.. when will they be available for purchase?????? Loved your card! 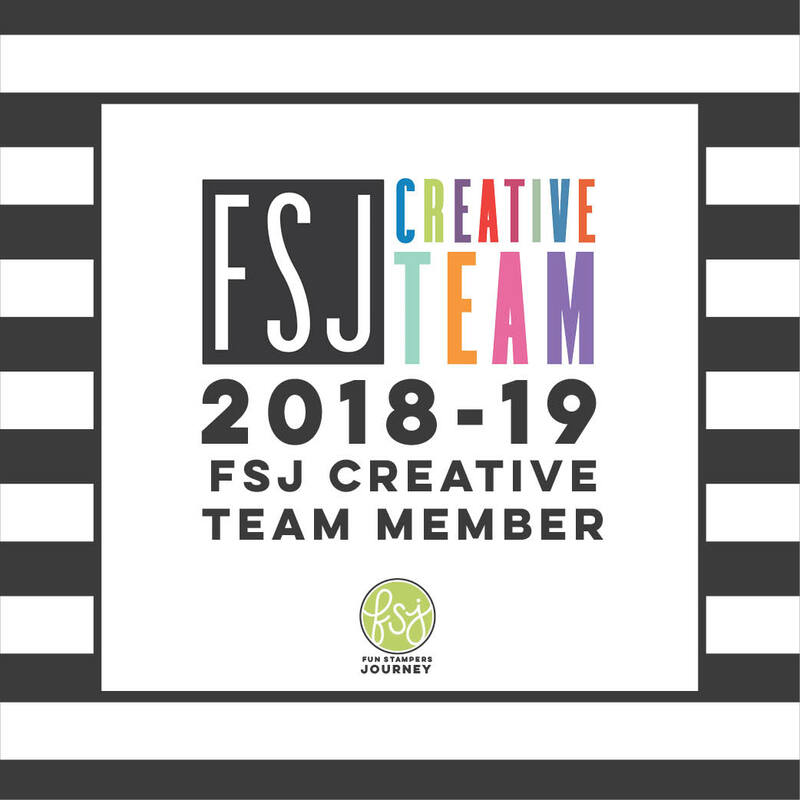 Congratulations for being on the design team! How exciting!! Have fun! This is so beautiful! I love it! WOW~ your card rocks! and love your hand stitching- that's crazy fabulous! Oh my word is this card adorable! Can't wait for the release so I can add these sets to my collection! LOVE it! Stitching makes this stand out! Simply Gorgeous!! So much detail, fabulous!! Wow! That stitching is amazing! Beautiful card! sheesh, that bow is perfect! AND I just love the way you highlighted the stamp design with stitching. what a great card! 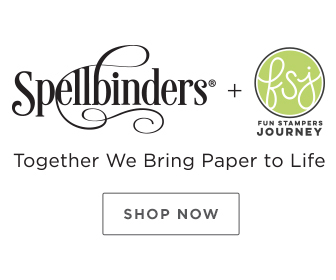 So excited to keep seeing your designs with these new stamps. Oh my gosh, I LOVE the fact that you stitched along the pattern of this stamp. That is just too incredible. Can't wait to see the rest of these stamps -- they are going to be brilliant, I'm sure. Kazan - I can't believe you did all of that hand stitching - and so perfectly! Awesome card! Yay!!! This is awesome and thrilling. Your card is so elegant, I love it! Your card shows such an elegant natural feeling! The colors are calm and it's just beautiful! Thank you for sharing this lovely card! Love the square used and the tag with the sentiment! Fabulous card Kzzan! Love the sentiment! Great lay-out and the texture! Great card as always. God bless! I like your card and your bow is PERFECT. I look forward to seeing more of your work. Thank you for sharing. Very nice card! I love the square sentiment stamp on the tag! Congrats to Kimberly on mint motif! I am anxious to see more! Congrats on the design team....I like the new line! Congratulations on being a part of Kimberly's design team. This is a beautiful card - love the colors. 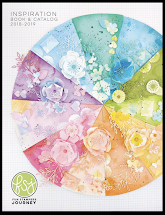 i love the texture of the paper, and i think these stamp sets will be a hit! wow...absolutely gorgeous! simple and stunning. thanks for sharing with us! This card is simply stunning! Love everything about it! Love, love, love you card. Thanks for the inspiration and the chance to win....Congrats!!! Love your card- very pretty! Congrats on the DT and congrats to Kimberly! 2S4Y is 2 and we are celebrating! Kazan Clark. Awesome Inc. theme. Powered by Blogger.